Social Analytic and Social Media Monitoring Tools are two indirect ROI generators for Social Media. There are many Social Media Analytic and Monitoring Tools under various categories. Hoot Suite for Social Media Management, Klout for performance measurement, Twitter Reach for reach analysis and Crowd booster for sharing & monitoring are my recommendations as an individual platform for Personal Branding and Social Media Initiative of SMEs. eMagazines,eNews Paper, eGazette & eNews Letter on Smartphones and Phablets are the hot trends of 2013. It has bought the need of another category of Social Analytic to measure the performance of Social Publications. BigData is the platform for processing humongous volume of Data. It can process data from all kind of sources including Social Networks & Video Surveillance Systems. The Analytic Platform leveraged by BigData is Big Data Analytic and it allows to analyze data collected from the diversified source in all possible means. Its process includes Algorithmic Analysis(Predictive Analysis), Graphical Visualizations, Tabular and Info graphs. Visual Social Analytic is the platform to process the visuals from Visual Social Networks like pinterest and instagram. Second variant of Visual Social Analytic generates the data visualizations and info graphics of different activities over all types of Social Networks including photo-campaign ,likes and comments to generate the beautiful looking visualizations and interactive info graphics. Reach.ly and visual.ly are really good to use platforms for analyzing the different activities on Social Media and to generate the info graphics for different trending topics on Pinterest and Facebook or Twitter respectively. Delivering the Sales and Marketing ideas or concepts through short Videos on Social Media has started dominating the other type of marketing tools. It is whizzing as the most successful and the hot trend of Social Media in 2013. International Footwear giants like Adidas & Reebok have already adopted this tool very extensively.Almost all software companies who are into Cloud Business have already realized the impact of its Sales and Marketing power. 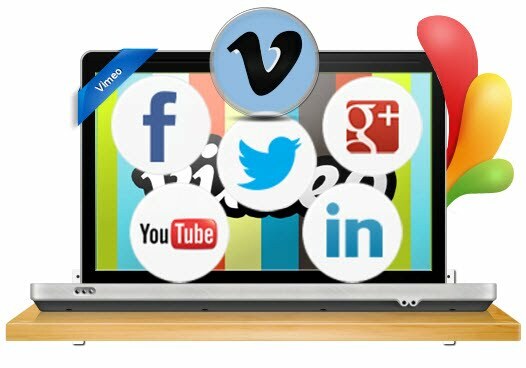 The Social Platform like YouTube, Keek, Vimeo, Facebook (New News Feed), Twitter (Twitter Social TV) etc are gearing up heavily as the global leaders & players to make this trend really successful. Social TV Analytic will become one of the Top 5 Trends of Social Media starting from middle of 2013. Competitive Intelligence is a specialized Business Intelligence capability that produces predictable information about branding, pricing, strategies, trends and consumer/customer behaviors. To produce these information it processes the data primarily from CRM and other systems leveraged on branding, social promotions, logistics, Financial Management System and forecasting. It is an intelligent and great strategy to combine the capability of Location/Spatial Intelligence with any Competitive Intelligence Solution to add the WHERE paradigm to it, just like in Predictive Analytic. To cope with the fast growing influence,popularity and trend of Social Commerce, it is important to consider BigData platform for any Competitive Intelligence Solution in future. Any Strategy formulated based on past trends data and amalgamated with the smarter considerations, actions and events of future is considered as the good Business strategy. Any Business Intelligence Solution that helps in deriving & formulating the strategic aspects of business plan from the sets of data and other inputs is called Strategic Intelligence. Business Houses, Research & Development, Defense and Security Organization/Agencies are the heaviest utilizes of Strategic Intelligence. It is very much evident, a Strategic Intelligence will become the core part of BI Initiative of every organization in future. The combination of Self-Predictive Analytic and Strategic Intelligence powered by BigData Platforms is one of the best practices in designing of a Strategic Intelligence Solution and it will support all sorts of challenges in future. Customer Intelligence is a specialized type of Business Intelligence that collects data of customers, their details and their activities and analyzes them to create the customer-focused Business Strategies. Alternatively, it is the process of gathering and analyzing the customer data, their details and activities to create deeper-insights and highly-effective customer-relationships and adding the strategic decision making capabilities. Personal Demographics, Geographic Demographics, Interest Demographics and Financial demographics are the core interest area of CI. Earlier, its sources was limited to Phonetic Data( Data of Phone Conversations) and Traditional Market Research Data but now they include CRM data, Social CRM Data, data from Social Media & Social Media Campaigns,Social Commerce Platforms like Groupon etc. and other Business Applications like Enterprise Social Network and Mobile Campaign Platforms.